It’s embarrassing for any country to top the list of black money holders. The money which belongs to the nation and it’s citizens, is stashed in the illegal personal accounts of corrupt politicians, IRS, IPS officers and industrialists. An amount which is 13 times larger than the nations foreign debt. Every year this amount is increasing at a rapid speed but the Indian government seem to be silent over this matter from a very long time. The total black money accounts for 40% of GDP of India, if all the money comes back to India then that could result in huge growth burst for India. Mark the words: fearless investigation by an independent investigative agency against delinquent ‘greats'. A good Lokpal bill has to be nothing less. The Jan Lokpal Bill ,also referred to as the citizens' ombudsman bill is a proposed independent anti-corruption law in India. 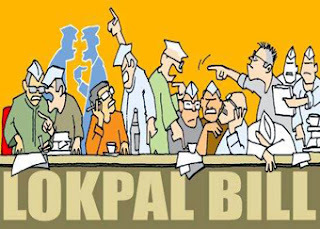 Anti-corruption social activists proposed it as a more effective improvement to the original Lokpal bill, which is currently being proposed by the Government of India. So what is the principle behind such immunity being given? The line is clearly drawn. Constitutional heads who do not directly exercise executive powers are given immunity as heads of state. Active politicians such as Ministers, who cannot remain aloof from the hurly-burly of electoral and party politics, ethical or unethical, honest or corrupt, are not given any immunity. They are subject to penal laws and criminal liability. 1. 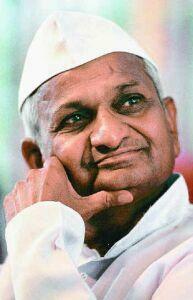 Team Anna wants PM to be covered under the lokpal bill.. Expressing fears that the bill could be used by foreign powers to “destabilise” the nation, she said if the Prime Minister was included under the Bill, he cannot function as he would have to focus more on defending himself against the accusations. “It would seriously dent the PM’s authority even if charges were proved wrong. The Prime Minister will be put on the defensive and he has to constantly defend himself,” she said but added that the state government will give its opinion on this issue only after getting the final draft which would be tabled in Parliament. 2. Team Anna wants to frame a committee which includes people who have clean track records. People with clean records??????? That is a million dollar question in todays India! It remains unsure whether Many of the celebreties who are supporting the passing of the bill have payed their income tax properly or not . They have included the people who in past where the Judges or Advocates of High Court or Supreme Court. How can one be sure if these people have clean records or they are puppets in the hands of some political party?? 3. 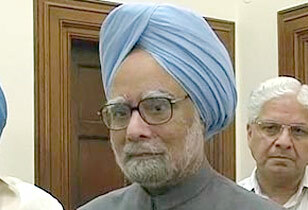 Team Anna wants PM ManMohan Singh in the lokpal committee..
4. Appeals against the lokpal order will be preceded to the High Court. So we are back to the most corrupted place on the Earth! The entire meaning of the lokpal bill stands null. The Govt’s format of Lokpal is worthless & useless. But even the Anna’s Lokpal is impractical to some extent. Anyways, the fight against corruption has started and there would surely be some good outcome to it. All in all, it's good for the country. A good start. No one should think that just getting a strong Lokpal will eliminate corruption. But at least, it will make every attempt to arrest it as far as possible. As time goes along, it can be improved with experience. Let's not delay it. Sooner the better. a. for the Prevention of Corruption Act you'll have to file a case in courts and wait for the 25 years before u get verdict. Under Lok Pal, it is speedy execution. b. An enquiry under the the Prevention of Corruption Act for PM can be instituted only by the CBI which in turn has to take orders from the PM. SO its like ,"hey, come on baby, interrogate me, And report as I ask you to !" c. There is such Lokpal Bill System in most advanced countries also and no one has de-stabilised them. Thats an over exaggerated statement. d. So if there is no one clean, then don't trust ur dad also. Lets give up and not even try for change ! We're a looser country - Right ?? - NO OUR SYSTEMS ARE WEAK. OUR SYSTEMS ARE SO DESIGNED TO FORCE US TO BECOME CORRUPT. SYSTEM NEED CHANGE, NOT PEOPLE ? WHERE DID SO MUCH COME FROM IF EVERY ONE WAS CORRUPT. FROM CEO'S TO AAM ADMI EVERY ONE WAS THERE. E. we can't ignore the fact that a STRONG LOKPAL BILL is required. If you have better suggestions than post that - No criticism required for whatever little we shall get. Frankly at this moment this report of yours is BASELESS, BIASED & INCORRECT. Its been framed to suite someone's senses. First of all Happy that yu spent time to go through this post and leave your comment.. I would lik to clarify certain things. 1. This article Compares both drafts of lokpal ..
2. 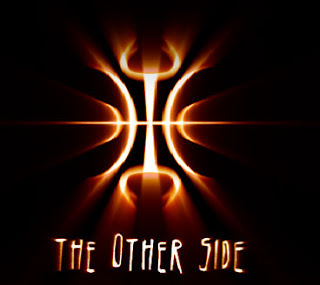 Just like any decision is concerened There can be critisicm on it. Only then a good solution can be obtained. "The Govt’s format of Lokpal is worthless & useless. But even the Anna’s Lokpal is impractical to some extent. Anyways, the fight against corruption has started and there would surely be some good outcome to it. All in all, it's good for the country. A good start. No one should think that just getting a strong Lokpal will eliminate corruption. But at least, it will make every attempt to arrest it as far as possible. As time goes along, it can be improved with experience. Let's not delay it. Sooner the better "
The government knows every thing about Swiss bank money but he is not taking stick action against him. If we bring that all the money back to our country our country will be the richest country in the world and the poverty will not seen in this country. Great post.Thank you for this valuable blog. Hi, The most perfect way to guarantee your resume is seen is not by accomplishing your resume, but rather by idealizing your pursuit of employment. The best occupation hunt is proactive, so you are out in the business sector meeting individuals and conversing with individuals. Ensure the resume is an effective and precise portrayal of your background, aptitudes and experience. You can find professional resume writing tips and samples to write a wonderful resume.